A complete step by step tutorial on How to Create a New Controller in ASP.NET MVC. Hello friends, I hope you all are doing great. 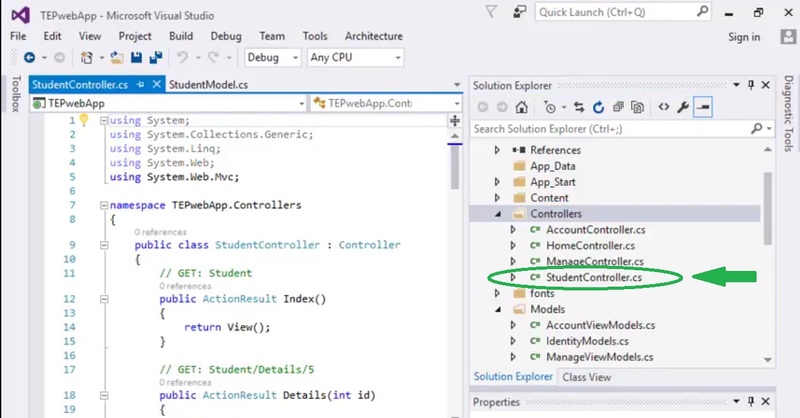 In today’s tutorial, we are gonna Create a New Controller in ASP.NET MVC. It’s 6th tutorial in our ASP.Net MVC series. We have already had a look at basic Introduction to Controllers in ASP.NET MVC and they are used to communicate between Views & Models. 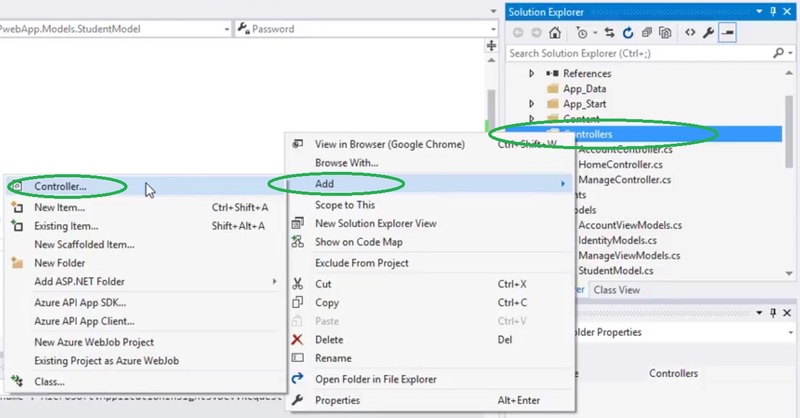 In order to Create a New Controller in ASP.NET MVC, you have to right click on the Controllers folder in Solution Explorer. It will open up a new window which will have different types of Controllers and are used for different purposes. Here, we have to select the second one as we want to perform read/ write actions. When you click the Add Button, it will ask for the Controller name. Now when we click the Add button, then a scaffolding operation will start by visual studio and it will automatically create our new controller. We have successfully created our new Controller to read or write data. In our previous lecture, we have already created a new Model in ASP.NET MVC. So, now we are only left with the Views which we are gonna create in our next tutorial and will also bind them together. 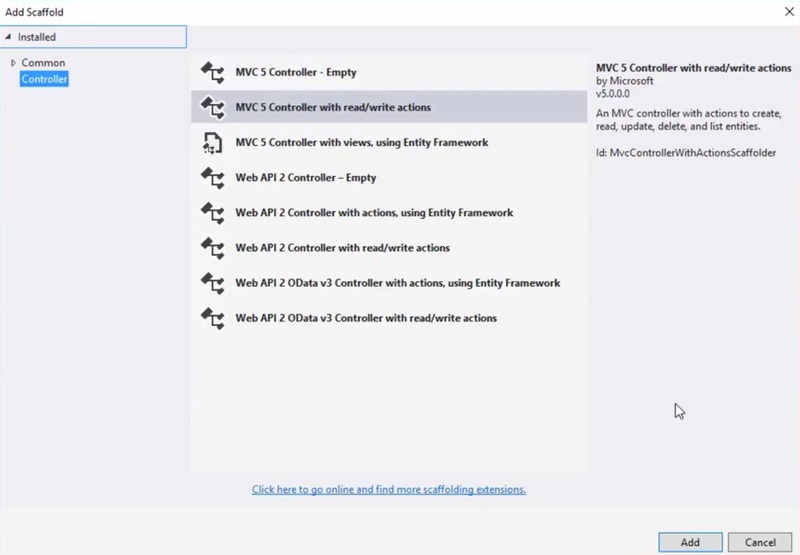 So, that was all about How to Create a New controller in ASP.NET MVC. If you have any questions, then ask in comments and I will surely help you out. Thanks for reading. Take care.